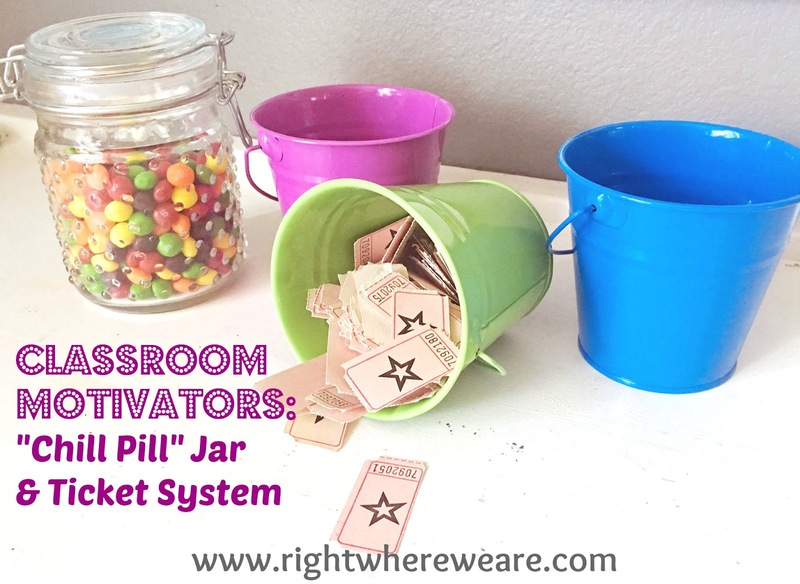 Last week I posted 5 Ways We Keep Our Classroom Organized. Today, I want to touch on two ways I keep my kiddos motivated. Of course, we always stress the importance of trying your best and having a strong work ethic, but let's face it, we all enjoy tangible motivators. Our second motivator is our ticket system. We have used this system for a couple of years. For every hour of productive, diligent school work, I give each kiddo one ticket. The ticket can later (after our school day) be turned in for electronics time. Electronics in our home is anything that plugs in the wall (ANYTHING). My daughter coined the term, "pluggables". One ticket is worth 10 minutes with a pluggable. :) They also receive tickets for various chores around the house. They usually earn about 6-7 tickets per day (60-70 minutes worth of pluggable time). It is funny to watch how each child saves and spends his/her tickets. Our oldest hoards his tickets. His bucket is filled with at least 100 tickets. While our youngest son spends his immediately. He never has extra tickets in his bucket. Our daughter falls somewhere in the middle. Thankfully, our kids love educational shows such as Sea Rescue and Wild Kratts. I will often count those as "free" because they are great well-rounded shows that are very much an extension of school work.